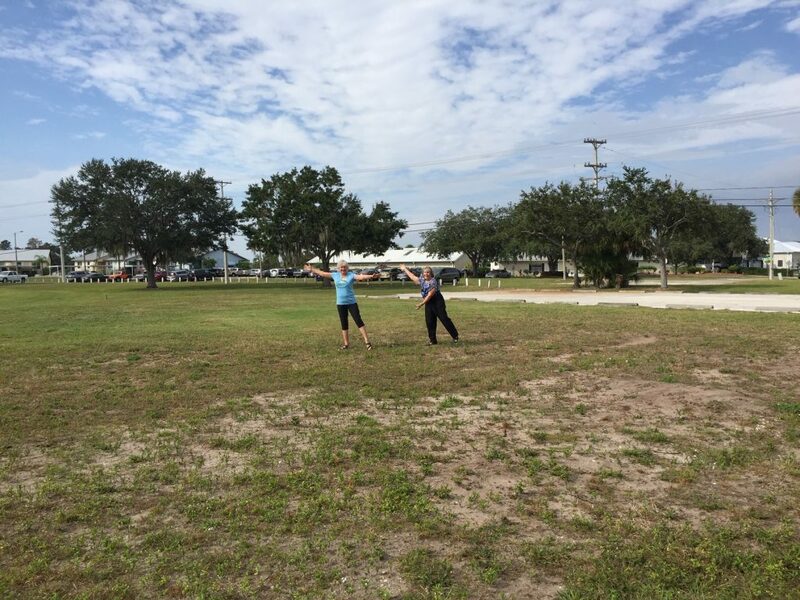 Photo description: Paula Olesen, President of the Apollo Beach Garden Club and Kitty Wallace, Sustany Board Member and President of the Tampa Bay Coalition of Community Gardens standing on the future site of the Apollo Beach Community Garden. On November 20, 2018, the Sustany Foundation presented a $600 check to the Apollo Beach Community Garden. The grant award is part of the organization’s Seed to Sustenance Community Garden Matching Fund Grant. Lorrie Belovich, the executive director of Sustany, Andrea Cheney, a founding member and Kitty Wallace, a board member and president of the Tampa Bay Coalition of Community Gardens attended the November board meeting of the Apollo Beach Garden Club to present the check in person. The Apollo Beach Community Gardens will be established on a former mobile home plot. The garden will serve residents who currently have no access to garden space and will educate them on growing edible and Florida-friendly plants and fruit trees. Seed to Sustenance is a grant program that provides matching funds up to $600 to groups or organizations that want to start a community garden. The process is fairly simple with an on-line application but the group must be organized, have a plan and commit to following the “10 Steps to Starting a Community Garden” guidelines by the American Community Gardening Association. 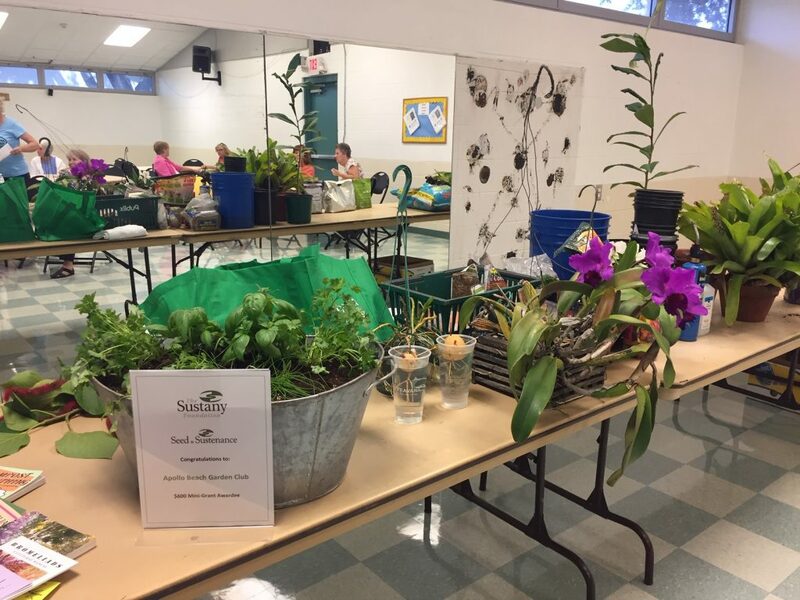 The Coalition of Community Gardens – Tampa Bay provides technical assistance and offers mentoring and networking with other community gardens to ensure a healthy and verdant community resource for years to come. The Sustany Foundation is a non-profit dedicated to advancing sustainability initiatives in the Tampa Bay region and has served as the leading resource for the sustainable business community for over a decade. Through education, collaboration and impactful programs, we encourage responsible use of our natural resources to protect and preserve our unique quality of life now and in the future.